A handout about prepositions of place.You can also use as a classroom poster.A handout about prepositions of place.You can also use as a classroom poster.A handout about prepositions of place.You can also use as a classroom poster. This printable, downloadable handout was created for high school students, elementary school students, kindergartners and nursery school students, adults and students with special educational needs, learning difficulties, e.g. dyslexia at Beginner (pre-A1), Elementary (A1), Pre-intermediate (A2), Intermediate (B1) and Upper-intermediate (B2) level. 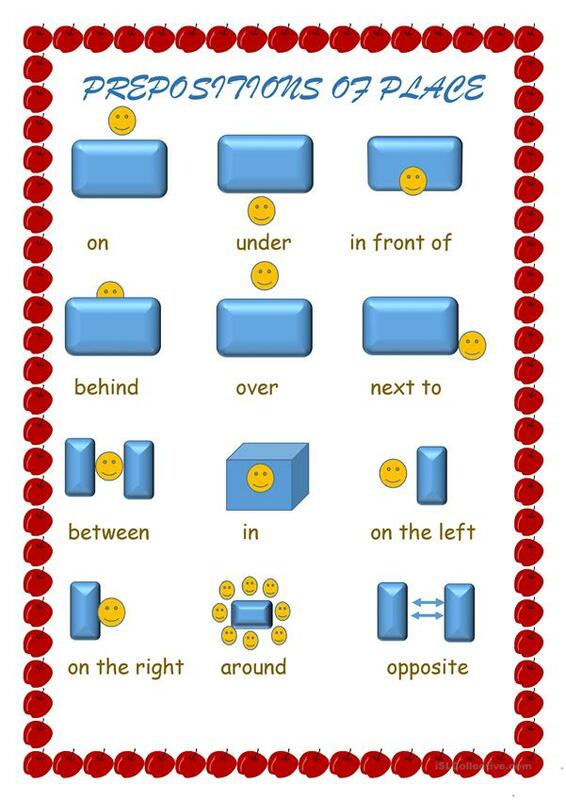 It is aimed at teaching Prepositions and Prepositions of place in English, and was designed for enhancing your pupils' Reading and Writing skills.